Nigel Akkara Vicky became superstar after the huge success of his first Bengali film Muktodhara, directed by Shiba Prasad Mukherjee few months back. Unknown face Nigel Akkara became superstar of Tollywood Film Industry overnight and got noticed by every film maker & film lover. In his debut film Muktodhara, Nigel Akkara worked with one of the senior Tollywood actress Rituparna Sengupta and as per the news he is going to work with another senior Bengali film actress in his 2nd Bangla cinema Mangrove. Bengali Theatre & Film actor Nigel Akkara has signed two films. Let’s check out what are the upcoming films of Nigel Akkara Vicky. Muktodhara starred actor Nigel Akkara will be seen in a Malayalam Movie directed by M. Padmakumar. 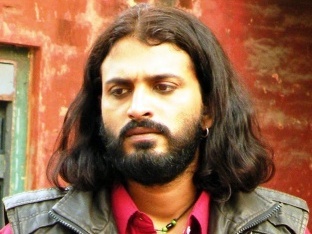 In this Malayalam film Nigel Akkara will be seen in a role of Jamidar (land lord). Although it's a malayalam film but Nigel's character will speak in Oriya language throughout the movie. Actor Nigel Akkara Vicky is ready to go to Mysore where his Malayalam film shooting will be done in February 2013. After the success in Bengali film Industry, Nigel Akkara Vicky took up a Malayalam film and we wish him all the very best. Apart from the Malayalam Cinema of Nigel Akkara, he is also working in his 2nd Bengali film Mangrove directed by Bengali film-maker Saurav Mukherjee. In the Bengali film Mangrove, Nigel Akkara is playing the role of a Medical Student. 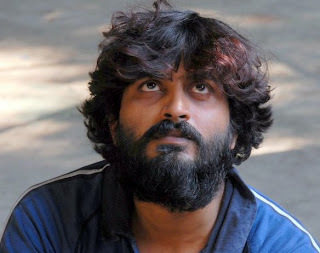 The look of Nigel will be totally different in Mangrove Bengali film. As per the news, Tollywood film director Sourav Mukherjee offered the lead female role opposite of Nigel Akkara to Bengali film actress Arpita Chatterjee. So, in the month of February 2013, Nigel Akkara will be busy shooting his Malayalam film and then Mangrove Bengali cinema. It’s the good news for the fans of Nigel Akkara that one Bengali movie (Mangrove) and one Malayalam movie will be releasing end of this year or in 2014.